Apple fans are finally laying their hands on the brand new iPhone 7 and iPhone 7 Plus. 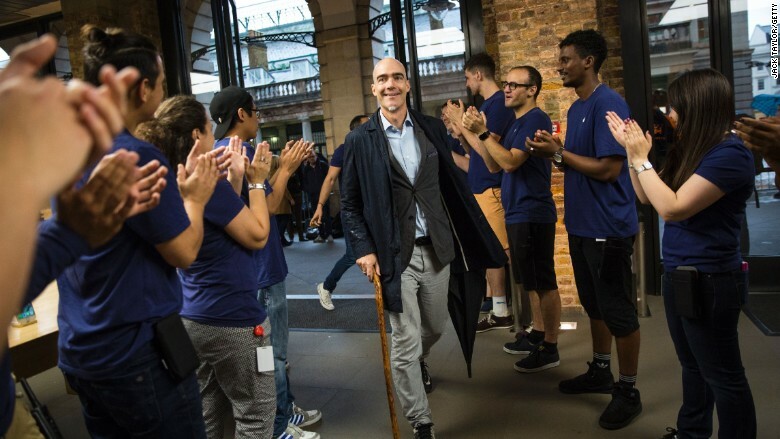 Eager customers joined long lines in cities like Sydney, Hong Kong, London, New York, Boston and San Francisco on Friday as the new models went on sale, more than a week after they were unveiled. 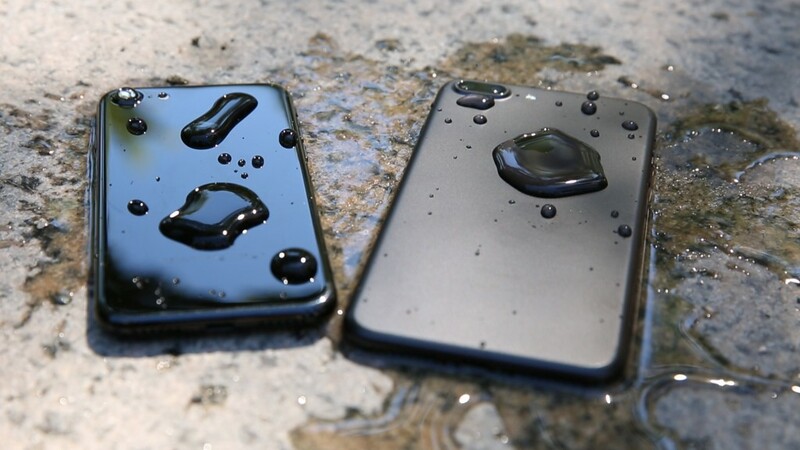 Apple (AAPL) is releasing the phones, which are water resistant and feature beefed-up cameras, in more than 25 countries around the world. But people who haven't reserved one in advance won't be able to be too picky about the color -- or get the larger model. Apple said earlier this week that the iPhone 7 Plus is completely out of stock online. "During the online pre-order period, initial quantities of iPhone 7 Plus in all finishes and iPhone 7 in jet black sold out and will not be available for walk-in customers," the company said in a statement. 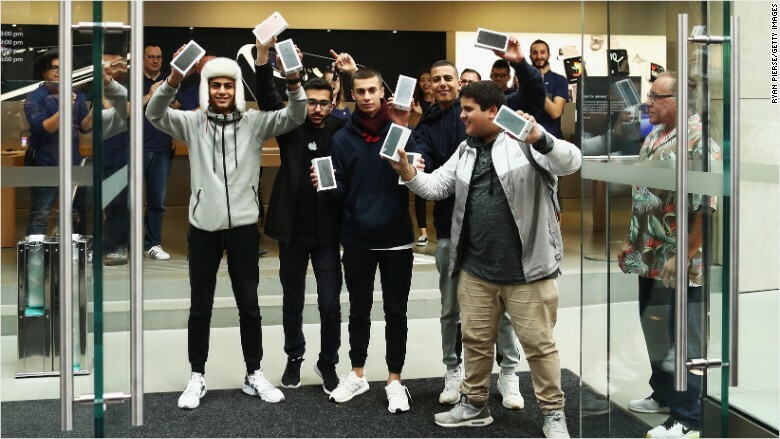 The first customers to buy the iPhone 7 at an Apple Store in Sydney on Friday. However, some consumers who thought carriers might have the larger model in stock were disappointed as the day progressed. "The iPhone 7 Plus is not available in stores this morning, so customers who wish to get iPhone 7 Plus should go [online] to place an order," a Verizon spokeswoman told CNNMoney. Meanwhile, T-Mobile said its stores had "limited inventory at launch," with shipping dates as far away as the end of November for black iPhone 7 Plus devices. Your best bet of finding an iPhone 7 Plus may be directly through Sprint. A spokesperson told CNNMoney "most of our retail stores have [the iPhone 7 Plus] going into [today]." An AT&T spokesperson has not yet responded to a request for comment. 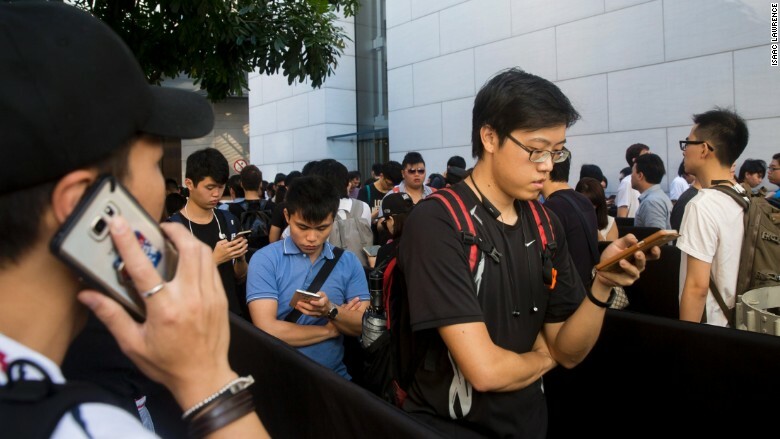 Many customers who couldn't get a device aired their complaints on Twitter. Called local Best Buy, said Apple didn't send any iPhone 7 Plus units for today - despite pre-orders. Verizon stores also don't have 7 Plus. If you're not in a rush and don't fancy spending your morning waiting on a sidewalk, you can order an iPhone 7 or 7 Plus online through Apple or a number of retailers. According to Apple's website, the jet black version of the iPhone 7 Plus won't ship until November in the U.S. All other colors, including matte black, will ship in two to three weeks if ordered online directly from Apple. Those wait times could change. The 4.7-inch iPhone 7 starts at $649 and the 5.5-inch iPhone 7 Plus starts at $769. Outside an Apple Store in Hong Kong, sports coach Kala Singh said he'd reserved his matte black iPhone 7 a week ago. "I always upgrade my phone when they change the number," he said. Singh opted not to go for a jet black version because he said he'd heard it's easy to get finger smudges on them. But at the same store, Tsang Yan-yee said she was "a little bit upset" that she'd had to settle for a rose gold iPhone 7 instead of a jet black one. She also said she was disappointed with Apple's controversial decision to remove the phone's headphone jack. -- Reed Alexander and Hope King contributed to this report.